+1. I have one of those henrob torches and they truly are much more capable than a regular oxy acetylene torch. I don't use it much as I have access to a few tig machines, but given the right amount of practice you can weld even some fairly thin aluminum alloy with one. I turn the flame down to a very low flow for welding thin wall, regulators seem very capable on normal setups. Ryan sorry to hijack your post. It looks like there are a lot of positive opinions on oxy/acetylene. The other benefit I see with oxy/acetylene is all the other uses in the shop. Unfreezing rusted bolts, solder, brazing, heat treating alloys, annealing etc. 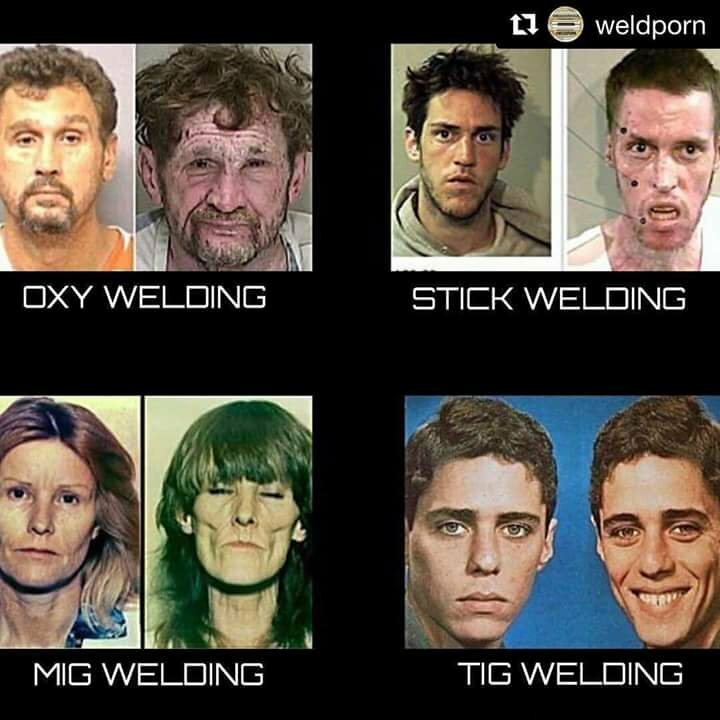 From your experiences is it easier to learn TIG or oxy welding? I found TIG to be easier, as you can simply adjust the amperage if you need more/less heat and be done with it. That being said, I had a few pretty decent people to show me the ropes with TIG and not a single good one with oxy. With the processes being rather similar, if you grasped the basic concept of how to TIG, oxy is pretty close, you just don't have amperage to play with, but nozzle sizes and hotter and colder or softer and harder flames. I started out with an old torch set I inherited from my dad, and took a class at the local community college/vo-tech to learn how to use it. I still use my dad's set up except I replaced the torch with a Meco Midget right after taking the class. Plus the hoses, when I got the lighter torch I bought lightweight hoses too. And a better set of eyewear/lens. And of course I replaced the tanks when they ran out. And recently I had to replace the regulators. So while I still call it my dad's set the only thing's left of his are the cart and the sparker doohickey. As torches go I really like the Midget. It was pretty inexpensive and TinmanTech has all the tips and other bits for it. I've used it mainly on thin stuff or for brazing but one of it's most recent uses has been welding up a Model A frame. It worked fine for that. I think they say you can go up to 1/4" thick with it but that's not really where it shines. 1/8" and less seems to be the sweet spot for it to me. It's already been mentioned but having an O/A set up around for other things is handy. Until this car project I probably used my torch for things other than welding at least as much as I welded with it. Heating kickstart levers to reshape them, brazing up leaky tanks, that sort of thing. Even if I had a TIG I'd still keep the torch around. I find welding with it to be relaxing even. Get the set up right and there's kind of a zone you get into with the flame and the filler rod. (Sometimes getting the set up right is frustrating though, but thats all part of it, isn't it?) The very little bit of TIG welding I've done is similar I suppose but there's something about working on 80+ year old stuff with a flame that seems right to me. And having said all of that, the main reason I still want a TIG is to weld up stainless exhaust systems. I STILL shop for a TIG set up a few times a year!